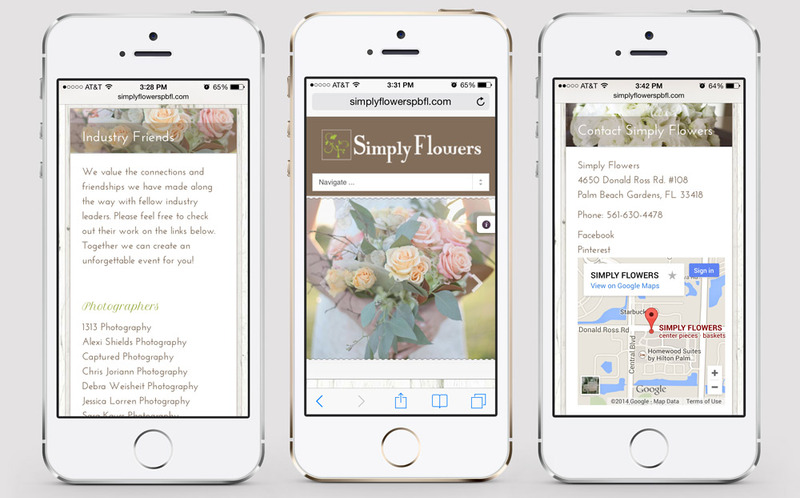 Simply Flowers is a boutique floral and event decor company based in Palm Beach Gardens, Florida. 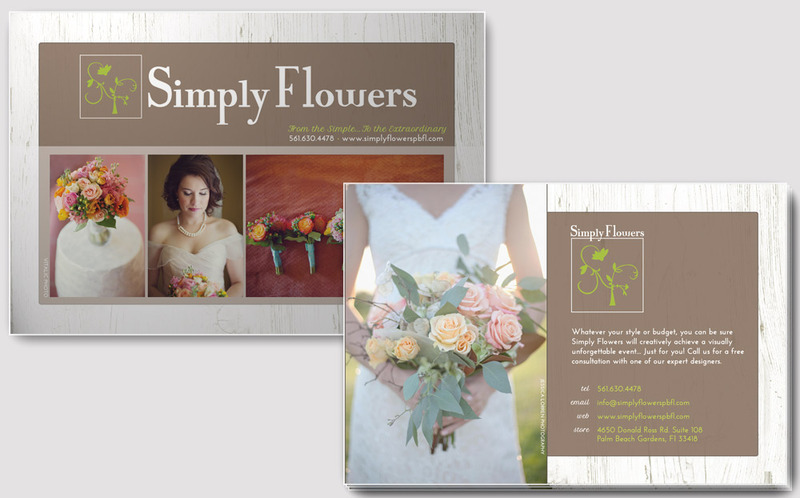 They came to us with an existing logo and wanted to rebrand themselves with an organic, Floridian, ocean feel to reflect their environment and specialty for destination weddings. 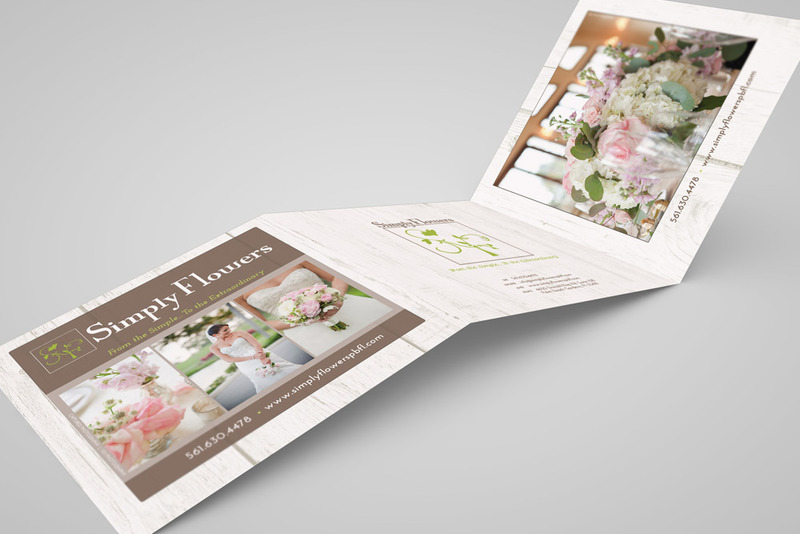 Wald Creations worked closely with the company’s owner to develop a new face for the brand. 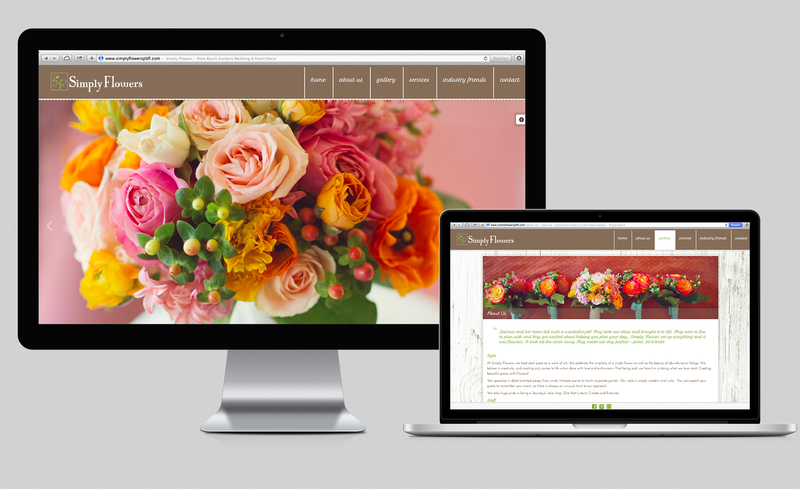 We started by laying out their responsive website, equipped with three separate image galleries to showcase their work, a full screen homepage slider, google maps and contact form. 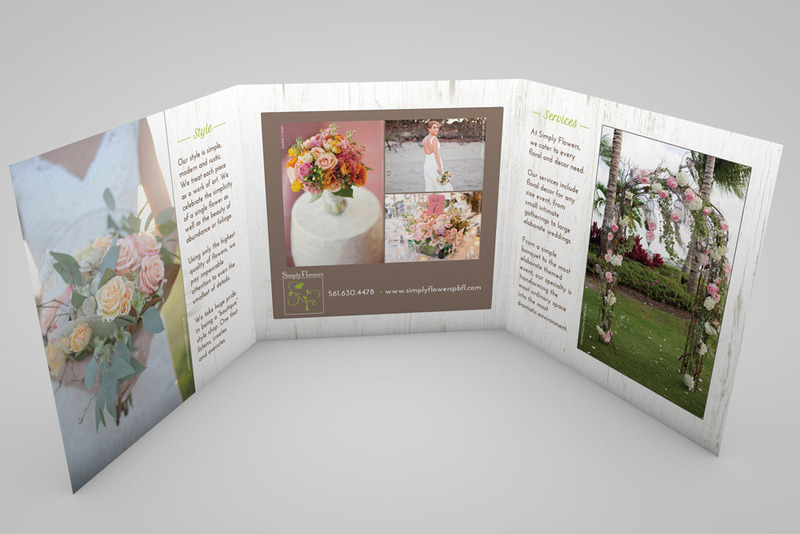 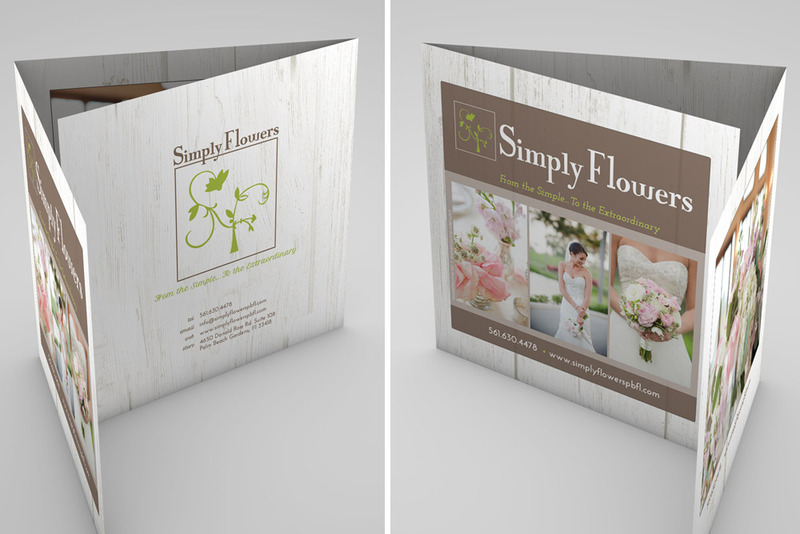 From there, we designed their marketing materials with a consistent design, including brochure, postcard and business cards. 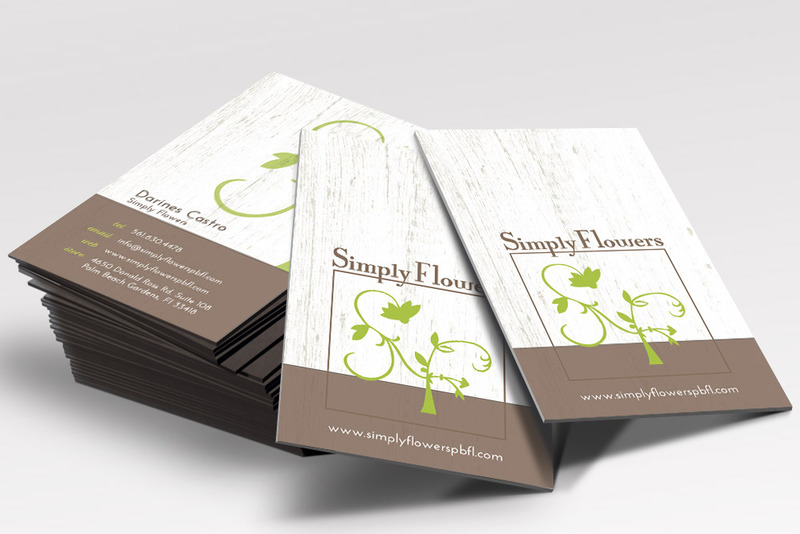 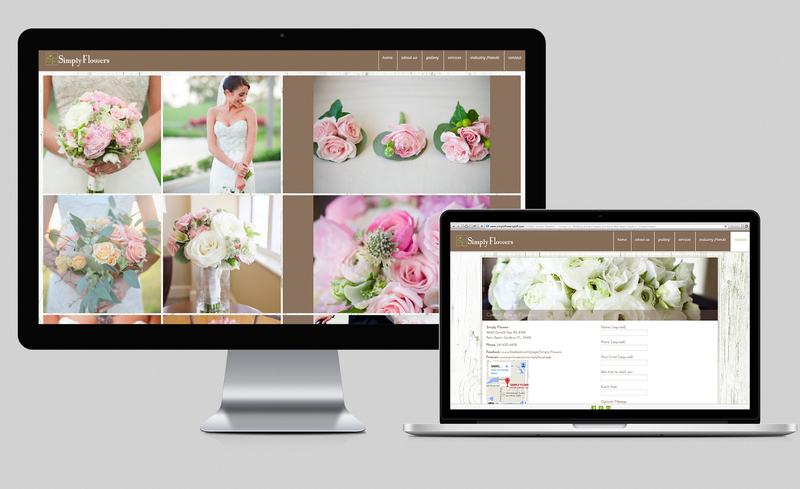 The Simply Flowers brand now reflects their work; elegant, organic and beautiful.